What links line-of-sight to over-the-horizon tactical communications? 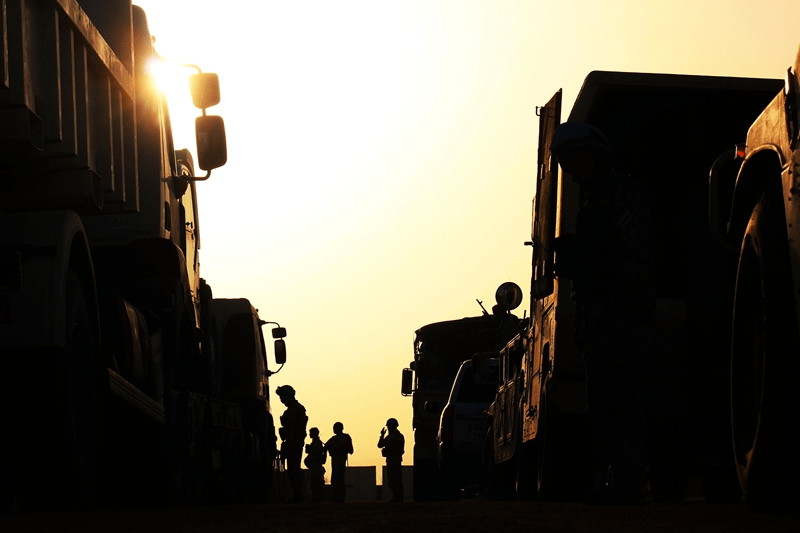 Whether trying to connect with other squads in the field or make contact with headquarters thousands of kilometres away, tactical operations require both long and short range communications. HF and VHF radio match these applications as each system uses different transmission signals that suit its required communications span. But tactical operators also need to be able to switch between ranges when required. What technology can achieve this? A Cross Gate radio system connecting HF equipment to VHF transceivers is what links line-of-sight to over-the-horizon tactical communications. Why do tactical operators need long and short range communications? Field squads need to be in constant contact to report on ground conditions and potential threats. Even over distances of as low as a dozen metres, reliable and accurate data transmission can be the difference between a successful operation and failure. VHF radios suit this requirement as transceivers use line-of-sight or ground waves to transmit signals from one point to another. This makes it ideal for accurately communicating over short distances with no terranean obstructions such as hills or heavily built up areas. VHF radios work by ground or line-of-sight transmission. HF equipment, meanwhile, suits long-range communications thanks to ionospheric transmission. Here, radio signals are bounced off the atmosphere and returned to Earth over distances scaling thousands or tens of thousands of kilometres. This makes HF radio the ideal technology for linking field operators with a base station, enabling groups on the ground to receive accurate orders and updates from a reliable outside source. 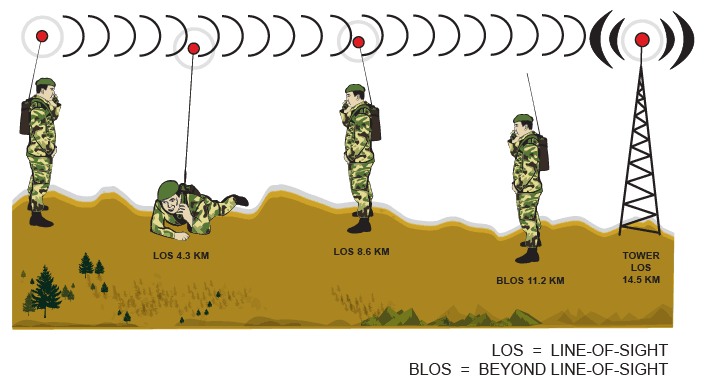 Switching between communication ranges is vital as it means in-the-field operators can receive orders from headquarters as and when needed, and relay them to other teams nearby. The equipment key to linking these communication devices? Barrett Communications’ 2063 Cross Gate. Interoperability is crucial to building a more comprehensive communications network. This innovative technology provides interoperability between HF and VHF transceivers, reducing the delays on receiving and acting on time-critical information. The equipment achieves this by opening a transmission link between the two radio devices allowing for data to be sent and received instantly across the open communications channel. The 2063 Cross Gate is light and compact for field use, packaging all of the software and interoperable elements required to extend communications ability in a robust exterior shell. This housing unit is shock absorbent and operable in temperatures ranging from -20 degrees Celsius up to +55 degrees Celsius, making it ideal for all field conditions. 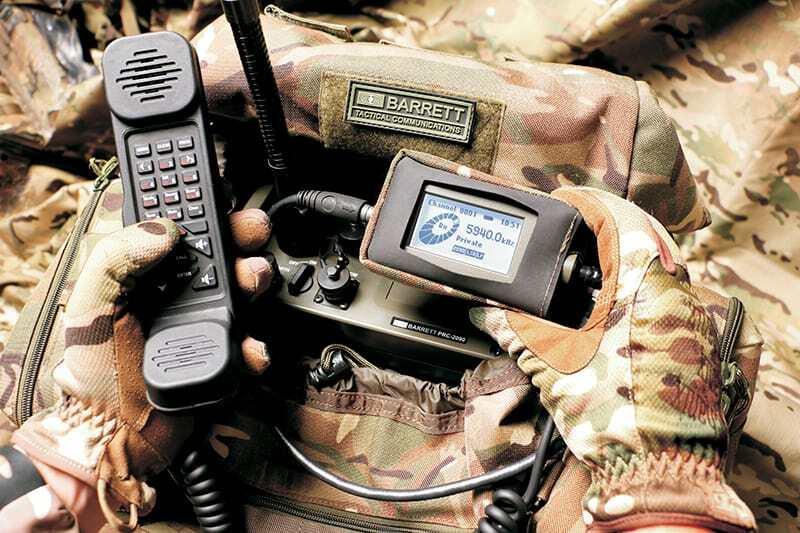 For more information on expanding the limits of your tactical communications, contact the Barrett team today.